Healthy Aging Medical Centers in New Jersey seek to help men regain their health and energy, and Dr. Rand puts together comprehensive Healthy Aging Male Programs that help men regain their vitality and wellness. The concierge medical model that he follows allows men to have comprehensive care that provides all inclusive consultations. Initial consultations include a full review of the patient’s blood work, labs, dietary and exercise habits, and medical history. By the end of the consultation, patients will know if they need to change their diets, take supplements, or do labs to check for hormonal imbalances. Dr. Rand will use his firsthand knowledge of healthy diet, supplement program, and a weight training and cardio regimen including yoga and martial arts to determine what will benefit the patient most. Dr. Rand’s comprehensive anti-aging programs can allow men to overcome the challenges associated with aging and hormone decline with non-invasive, evidence based therapies, which may include Bioidentical Hormone Replacement Therapy, IV Vitamin Therapies, Detoxification, Allergy Testing, and Testing for Vitamin and Mineral Deficiencies. Men can greatly improve their quality of life and optimize hormones with the Dr. Rand’s Healthy Aging Male Program. Melatonin is another important hormone that may become deficient in men due to aging. Typically, youthful men produce healthy levels of melatonin, but as men begin to age, levels of melatonin can decline, especially as men enter into andropause, which is the phase of life that occurs when men encounter a dramatic decrease in male hormone production. Men in their 40’s and 50’s that are experiencing andropause may be producing significantly less melatonin than they produced during their 20’s or 30’s. Other factors that may adversely affect melatonin may include excessive alcohol intake, caffeine, or prescription medications. Despite the fact that melatonin deficiencies primarily affect aging men, imbalances can occur at any time and may affect men of all ages. As men begin to age, falling levels of melatonin may lead to insomnia, and as a result, men may develop issues falling or staying asleep throughout the night. They may also wake up very early and not be able to go back to sleep. Because melatonin sets the body’s sleeping and waking cycles, reduced levels can cause disturbances within sleeping rhythms and cycles and cause men to feel wide awake instead of drowsy during usual sleeping hours. Melatonin works as an anti-oxidant that helps the body rid and detoxify itself of free radicals. Lower levels of melatonin can reduce the body’s ability to detoxify itself and lower overall immune function, which can increase the risk for prostate cancer or other cancers. Balancing melatonin can help men to rid their bodies of harmful toxins and potentially prevent the development of cancer. Melatonin stimulates immune function, which can help men to protect themselves against certain cancers, illnesses, and autoimmune disorders. Promoting healthy sleep is another way that melatonin benefits the immune system, and this is because melatonin can also help the immune system to regenerate and restore itself while the body is at rest. Balanced Melatonin levels can help men to have stronger immune functions. Cortisol is the hormone that works to reduce the internal inflammation caused from stress, and it is released in the body when a person is feeling stress. Over time, excessive amounts of cortisol can eat away at important B vitamins and minerals, which can cause nutritional impairments in the body. Melatonin helps to reduce cortisol and prevent the consequences of having an excessive amount in the bloodstream. Growth hormone promotes looking and feeling youthful, and melatonin is necessary for the production of this essential hormone. When melatonin levels drop, men may experience insomnia, and a lack of sleep can also rob the body of vital processes that occur during sleep, such as producing more growth hormone. Balancing melatonin levels with bioidentical hormone replacement therapy can help men to produce healthy amounts of growth hormone. Healthy Aging Medical Centers and Dr. Johanan Rand in New Jersey help men to optimize their hormone levels and stabilize melatonin levels, which can help them to prevent prostate cancer, reduce toxicity, and improve sleeping cycles. Dr. Rand does not have a one size fits all approach. He offers customized programs to suit individual needs. Men enjoy the convenience of having unlimited office visits and full access to Dr. Rand through phone calls, texts, or emails. 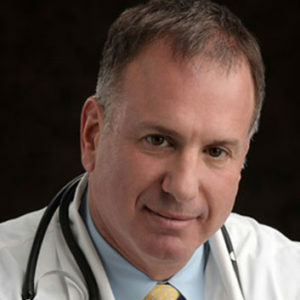 His integrated and all inclusive Healthy Aging Male Program can be tailored to suit each patient’s unique health issues, and Dr. Rand offers his personal experience with supplements, nutrition and exercise to custom tailor health and wellness programs including customized hormone replacement programs developed for maximum results. To learn more about specialized programs that can help balance melatonin levels, promote detoxification, and improve sleep, men can contact Healthy Aging Medical Centers in New Jersey at 973.435.0433 for a CONSULTATION WITH DR. RAND. use the form below and Contact us today to schedule a consultation with Johanan Rand, M.D. or call 973.435.0433 or email info@healthyagingmedicalcenters.com. We look forward to speaking with you! Our services reach Essex County, Bergen County, Passaic County, Hudson County, Union County Middlesex County and Somerset County New Jersey. Copyright © Healthy Aging Medical Centers, All Rights Reserved.